Spring is in the air! What a great time to do some cleaning to make your house sparkle and shine! 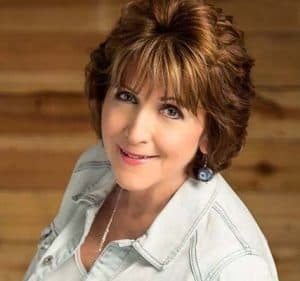 With the Thieves products from Young Living you can easily replace harsh, toxic chemicals with pure therapeutic-grade essential oils along with other naturally derived ingredients. 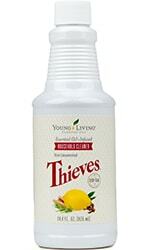 Young Living Thieves Household Cleaner is my choice for cleaning and it is included in the monthly specials! I have been using this for years! This all-purpose cleaner can be used on any surface in your home for scrubbing, spot-cleaning, and general cleaning purposes. I mix up a capful with water in a spray bottle and keep one in the kitchen and bathroom. It last for months. Sometimes I add a few drops of YL essential oils like Lavender, Lemongrass or Peppermint to the bottle to bring in a different fragrance. The best part is knowing that it’s safe for everyone, pets included! In fact, the Thieves Household Cleaner formula has received a “green” rating from the Environmental Working Group. For more ways to use this amazing product Click Here. 1) Make a thick paste with a small amount of Thieves Household cleaner added to some baking soda. 2) Mix them together, and apply to the tub, and scrub with a clean soft cloth or sponge. 3) The key is to let it sit for five minutes, to get that dull film off, and then just rinse off with water. Below are some more ways to do our part to help mother earth with recycling and cleaning up. If we each do a little it adds up to a lot! Enjoy the fresh clean scent of Spring!